Spotlights are a practical way to produce effective task lighting where you need it most in the home. 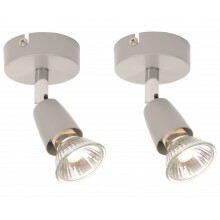 Often found in the kitchen in the UK, spotlights can also produce an effective glow in the living room and dining area. They give you the flexibility to be able to change the direction of the light so you won't be stuck in dull areas of your home.